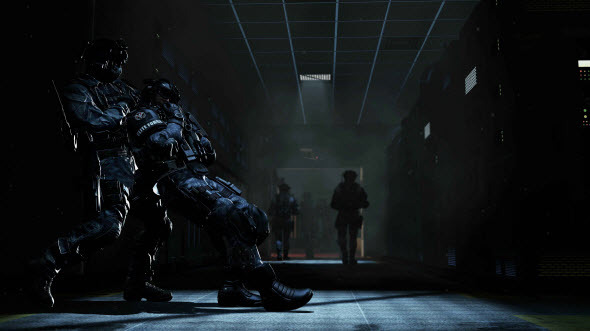 In Call of Duty: Ghosts Clans will be an important part of the game's multiplayer mode. And already now you can create your own Clan or join an existing one to be sure that you will start your war exactly on the Call of Duty: Ghosts launch day. This year you will be able to join a cross-platform Clan, the members of which can play on PC, Xbox or Playstation. Also there will be a lot of unique rewards, items and bonuses for the active members of the Clan competitions. During the biggest championship - Clan War - you and your teammates will need to conquer and control the key points on the map. Besides, the developers have announced new Call of Duty app, which can be used for your Clan management. Using the simple interface of the program, you can view the statistics of the competitions, change the emblem and the profile of the Clan and chat with your teammates.